You know you're interested in the field of law enforcement. The idea of getting those who break the law off the streets appeals to you. Maybe you looked into it a little and were immediately overwhelmed by the sheer number of jobs that are available in this field. Or maybe you've considered furthering your education, going to school to get a degree in some area of law enforcement. Now you're really confused as you realize that there are criminal justice degrees...and criminal justice jobs. And there are criminology degrees and criminology jobs. What's the difference? Sometimes this question comes from job seekers. Sometimes it's from people who are trying to decide on a college major, and sometimes it's just from the curious. Whatever the source, it's easy to get confused because the difference is subtle but distinct. So what is the difference between criminal justice and criminology? The key part of the word here is "ology," which effectively translates to "study of." Criminology is the study of crime, just like psychology is the study of the psyche and sociology is the study of society. Criminology is is a social science and is considered a subset of sociology. Criminologists research, study, analyze, and advise on all aspects of deviant human behavior, from the cause of crimes to their consequences. 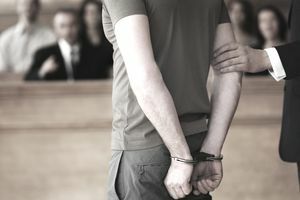 The study of criminology informs our understanding of how, why, when and where crimes occur and suggests policies and procedures to respond and prevent it. Sub-fields exist under the umbrella of criminology, such as environmental criminology, which is the study of the relationship between crimes and the environment in which they occur. People tend to act upon and react to societal norms. Careers in criminology include criminal profiling and forensic psychology. Criminal justice is essentially the application of criminology. While criminology is the study of crime, criminal justice describes the societal response to crime. The criminal justice system is comprised of multiple components that enforce laws, investigate crimes, try and punish criminals, and rehabilitate those who are convicted. As you can imagine, there are many, many different types of jobs available in this sector, and they overlap with careers in criminology. For example, a forensic psychologist can be said to work in both criminology and criminal justice because he studies and observes criminal behavior and is often also instrumental in investigating crimes, profiling criminals, and offering insight to trial preparation and jury selection. Police officers and detectives and investigators are integral components of the criminal justice system. So are corrections officers, wardens, and probation officers. Jobs and careers can range from a police dispatcher in a municipality to a position with the federal government, such as with the FBI. As you can see, there's pretty much something for everyone so choosing can come down to your interests and talents. And you don't actually have to make a decision between criminal justice and criminology because they cover a great deal of the same ground. The key is to first figure out how you'd like to serve your community, then do some research into the education, training, and experience necessary to achieve your goals.